An extra gentle shampoo that the whole family* can use to wash their hair. Excellent for frequent use, it has a delicate formula containing no silicones, which respects the fibres of the hair - without weighing it down - and even the most sensitive of scalps. The exquisite Palazzo Massaini oat milk unleashes its moisturising and calming properties. The result: wonderfully soft, shiny, and¿ extremely smooth hair! 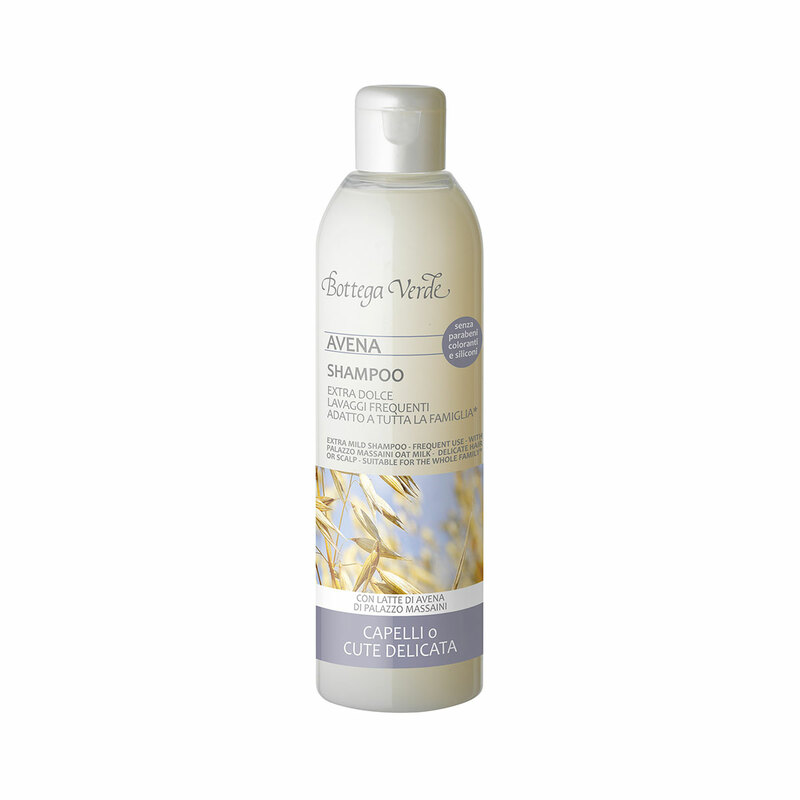 An extra gentle shampoo containing no silicones that the whole family* can use to wash their hair. Excellent for frequent use, it has a delicate formula that respects even the most sensitive of scalps. The exquisite Palazzo Massaini oat milk unleashes its moisturising and calming properties, leaving your hair soft, shiny, and... extremely smooth! Actions:Extra gentle and delicate shampoo. Direction for use:Apply the product onto wet hair and massage it in until you get a soft foam. Rinse out with plenty of water. Scent:Sweet, gourmand top notes; Delicate, floral middle notes; Sweet, woody, amber base notes. Suggestions:For delicate hair and the whole family*. Characteristic:Choose it if you want a product that contains no parabens, colourings, or silicones.